The surgical goal is to expand the calvarium to allow room for normal brain growth as well as to create a symmetrical and aesthetic alignment. To achieve that goal the craniofacial team has to deal with tight restrictive sutures, uneven skull bossing, and a shallow orbital bandeau, to name only a few complexities. Surgical techniques have evolved during the past years, and most craniofacial units have now adopted the fronto-orbital bandeau technique as advocated by Marchac and Renier with a floating forehead (or back of head), the use of barrel-staving, and split-thickness bone grafts (40). As a general rule, priority is always given to the orbito-cranial level, and once the upper midface and the cranium have stabilized, it becomes the foundation for reconstruction of the nose, maxilla, and mandible. See child page on timing of procedures. Tarsorrhaphy or other eye protection: Protection of the eye is extremely important, especially in children with protruding globes, and perioperative tarsorrhaphy should always be considered for globe protection. Spinal anomalies: Cervical spine abnormalities and the presence of a Chiari malformation have a significant impact on positioning. Supine for majority: In most cases, the child is positioned supine with the head in a horseshoe head-ring, which allows repositioning during surgery. Repositioning at regular intervals is important during long operations to prevent pressure sores. Prone when posterior work predominates: The child is placed prone if a posterior advancement or complete calvarial remodeling is planned. Regular pressure-relieving head lifts of a few seconds are required every 20 minutes in the prone position, which should be timed by the clock and noted when performed. Bicoronal incision: A zigzag or straight bicoronal incision is carried out behind the midline from ear to ear and, if a lower incision is required, carried behind the ear. This incision allows access to both the front and back of the skull vault and can be re-opened for staged procedures. The advantage of the zigzag incision is that it will lead to less scarring and the hair will not part over the incision. Shaving is not required as the incision can be carried out in the parted hairline. Skin flap reflected to expose orbital rims: The skin flap is raised separately down to both orbital rims. The pericranium is dissected in a separate layer until the orbital rims and zygomatic sutures are exposed bilaterally and the temporalis muscles are elevated towards their base. The separate pericranial layer can be harvested if required for dural repair and can be used as a vascularized overlay after the skull vault panels are replaced. Nasion and lateral orbital rim exposed: The orbital rims are further dissected until the nasion and lateral canthal ligament are visible. Posterior scalp reflection: The same bicoronal zigzag incision can be used for posterior reconstruction. Depending on the procedure planned, the scalp tissues can be reflected back to the craniocervical junction if required. Before a craniotomy is carried out, the team makes a decision on the placement of the bone flaps, which are then marked in methylene blue or pencil. Bifrontal craniotomy with harvesting of new forehead: In an anterior reconstruction, the new forehead, i.e., the Marchac template, is elevated first. Then the remaining original forehead is removed. Osteotomies across midline and roof of orbits: After gentle retraction of both frontal lobes, osteotomies are carried out across both orbital roofs and in front of the cribriform plate. Cut zygomatic arch at suture to remove orbital bandeau: The zygomatic arch is cut at the suture line, the nasal bone at the nasal suture, and the orbital bandeau is then removed. Remodel orbital bandeau: The orbital bandeau will be shaped on an individual basis. Replace bandeau and forehead: The bandeau and new forehead are replaced or advanced symmetrically and attached to the squamosal and temporal bone with wires or plates. Any advancement will create an initial nasal step that will, however, disappear quickly as the child grows. Cover remaining bone defects: The residual bony defects are covered with the remaining barrel-staved bone and, on occasion, split bone grafts. The bone fragments are fixed in place with sutures, and an excessive use of wires should be avoided. Repair dural tears: Any dural tears must be precisely closed to prevent a CSF lake forming under devascularized bone or, for larger tears, a growing fracture developing between the replaced bone plates. In the authors’ department, the policy is to suture any dural breaches and reinforce the suture line with pericranium. 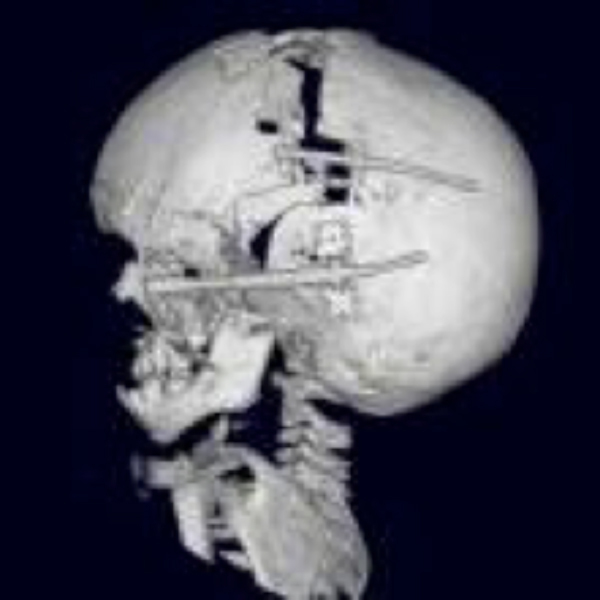 Posterior reconstruction and/or advancement are indicated if the occipital area is most severely affected with a flattened appearance and obvious growth restriction in that area. 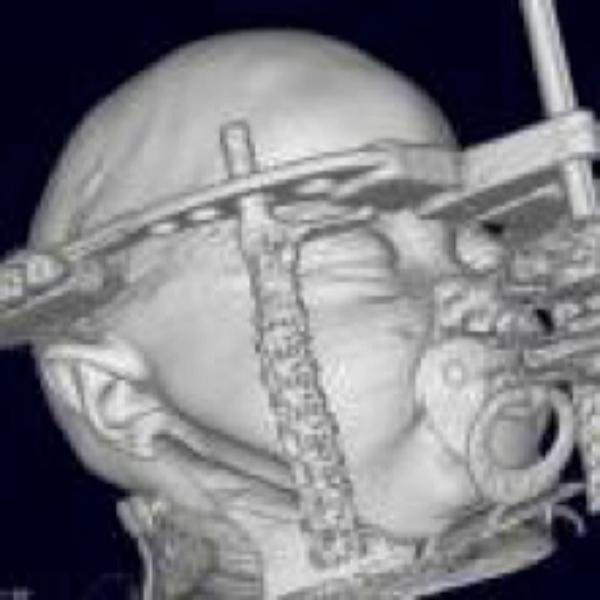 In growing infants with elevated ICP, a posterior expansion can allow brain growth prior to the optimum time for definitive front-orbital surgery. Biparietal craniotomy to include a new midline ‘posterior’: In a posterior reconstruction, the bandeau technique is used to enlarge and reshape the posterior two thirds of the head. Using the Marchac technique, a new “posterior” is harvested from the higher convexity and again elevated first. The resulting craniotomy window can be used to dissect the sagittal and lambdoid sutures. The osteotomies to lift the original back side of the head should not go below the asterion to avoid any sinus tears. Reposition bandeau and new midline posterior: The new bandeau is placed and held with plates/screws or wires according to the surgeon’s preference. Fill remaining bone defects: Once the new back side of the head has been reshaped and replaced, the rest of the reconstruction is carried out in a similar fashion to the anterior reconstruction. An alternative to skull vault reconstruction techniques is that of distraction. Positioning of distractors after osteotomies: Osteotomies are made and distractors placed with their shaft being brought out through separate skin incisions. Gradual distraction over weeks: The vault can then be distracted by rotation of the device’s shaft to accomplish a 1-mm distraction every day over 3 weeks. This approach will result in a final distraction of 2 cm. Potential complications: The main disadvantages of this technique are a high incidence of superficial infection, the need for a second operation to remove the distractors, and the potential for wound healing problems if carried out as a second procedure. For these reasons, the authors use the technique only as a first procedure for vault expansion. 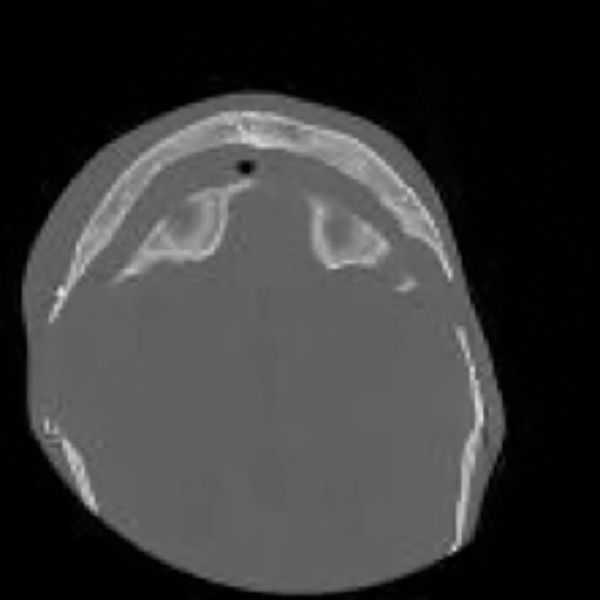 Axial CT scan of anterior distraction: The degree of final distraction can be seen in the scan. 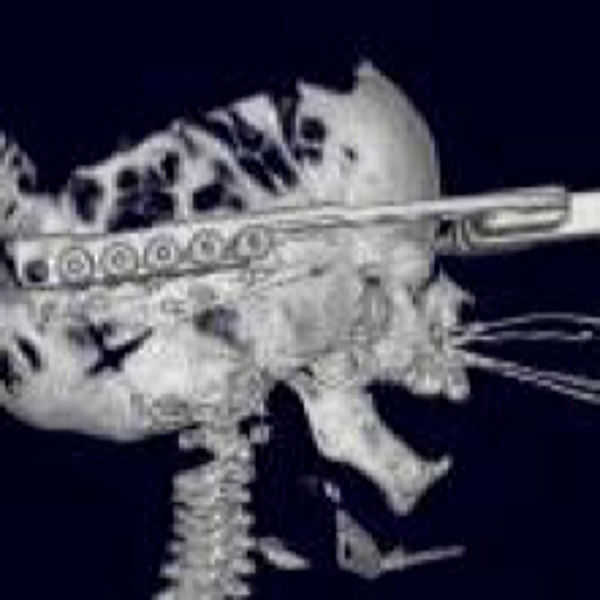 3D CT scan reconstruction: The distractors can be seen fixed to the posterior skull. A one-quarter turn distraction is done daily over 3 weeks to achieve a forward advancement of the skull and midface. The degree of final distraction can be seen in the 3D CT scan reconstruction. Lateral skull x-ray of a posterior distraction: Image shows the distractors and osteotomy separation. A monobloc procedure is usually carried out after the permanent dentition in the upper jaw has occurred since it would otherwise destroy the tooth buds. In a monobloc procedure, the frontal bone and midface are simultaneously advanced in two segments. Forehead and orbital bandeau osteotomies: See above discussion of Staged Anterior Reconstruction. Le Fort III osteotomy: The midface is disconnected from the cranial base en bloc via a Le Fort III osteotomy. Combined fronto-facial advancement: The combined fronto-facial advancement not only increases intracranial volume but also corrects exophthalmos by deepening the orbital cavities, enlarging the epipharynx, and normalizing the dental occlusion. RED frame: When monobloc surgery is undertaken before skull growth ends, a certain amount of overcorrection is required to account for abnormal growth potential, but it is sometimes difficult to achieve the desired result because of soft tissue restriction. In these cases the use of internal or external distraction devices has become an additional option. Whereas internal distraction is mainly used for posterior advancement, RED frames have become the method of choice for fronto-facial monobloc advancement, since they afford better 3D control during the distraction process. Primary use in correction of sagittal synostosis: More recently, springs have become another solution to the problem of how to maintain the anatomical correction in a growing and developing child (55). So far, springs have mainly been used in the treatment of monosuture sagittal synostosis. 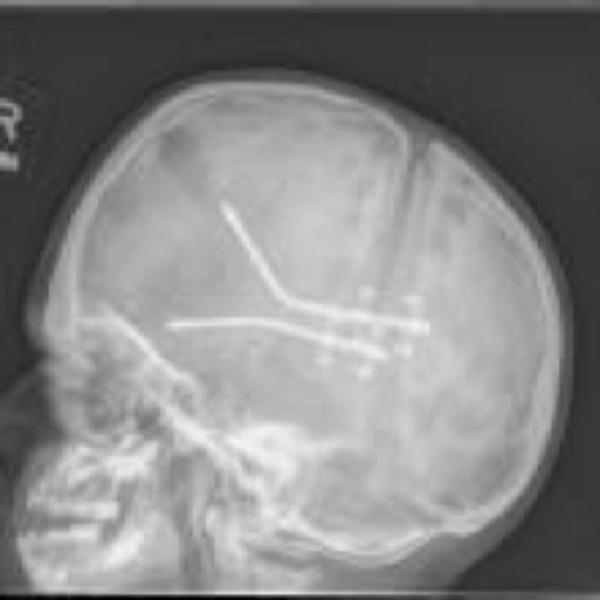 Posterior fossa expansion: Lately, spring expansion of patent lambdoid sutures has also been used as an alternative technique to expand the posterior cranial fossa in patients with complex craniosynostosis (41). Still investigational: Long-term studies of cranial development and clinical morphology are ongoing to evaluate the effectiveness of this treatment modality.